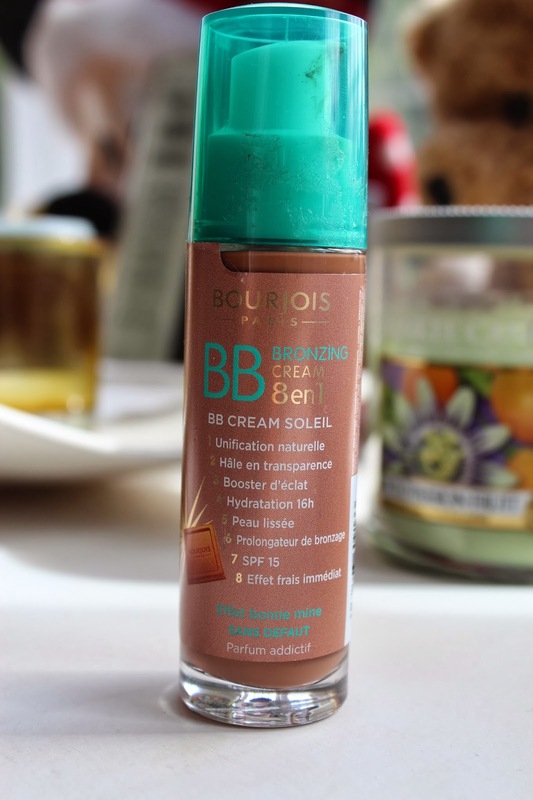 The Bourjois Bronzing Cream came earlier this year and retails for £9.99. I like to use this product in two different ways. It's great to use on its own, especially in summer when you want some light coverage, to even out your skin tone and have sun protection all in one. I also like to mix it in with foundation. I use one pump of this along with one pump of another foundation and blend onto my skin. I find when mixed into a foundation it can make a full coverage foundation less 'heavy' as you would only use half as much when mixed with this. It is great to warm up your foundation without looking fake in anyway - the finish is very natural. I like to use Mac's lustre drops in my foundation from time to time, but this bronzing cream from Bourjois has very little (if any) shimmer to it, so it gives off warmth without necessarily to much sheen as other products like Mac's lustre drops would give. I am a big fan of this product, I would even go as far to say I like it as much as the Bourjois bronzing primer (although I use them for different things) which is a great favourite of mine - I actually think I'm close to needing to repurchase that one!